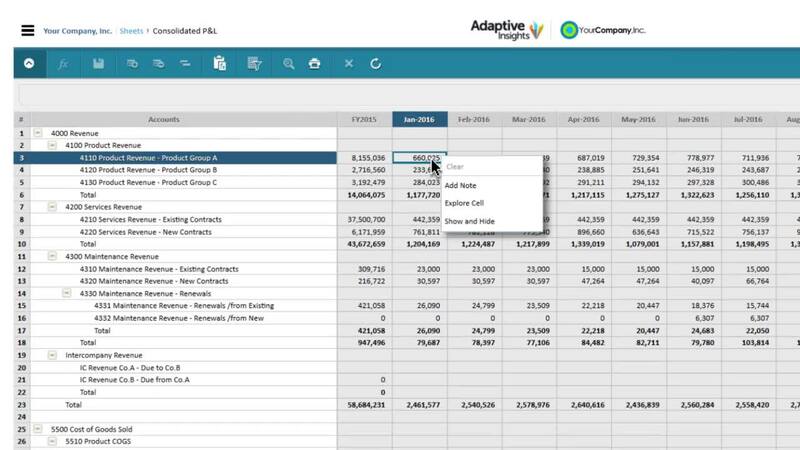 Learn the features of Adaptive Insights for Finance sheets — the heart of where people plan — that accommodate all types of planning, budgeting, and forecasting. Slice and dice across dimensions, easily adjust data, set global formulas, and more. The feel of Excel and intuitive features provide flexibility to suit any business model. Check out this and our other short demo videos that dive into specific ways you can use Adaptive Insights. They cover common scenarios our customers face — Budgeting & Planning, Financial Reporting, Microsoft Office Integration, Profitability Analysis, Financial Close, and many more.